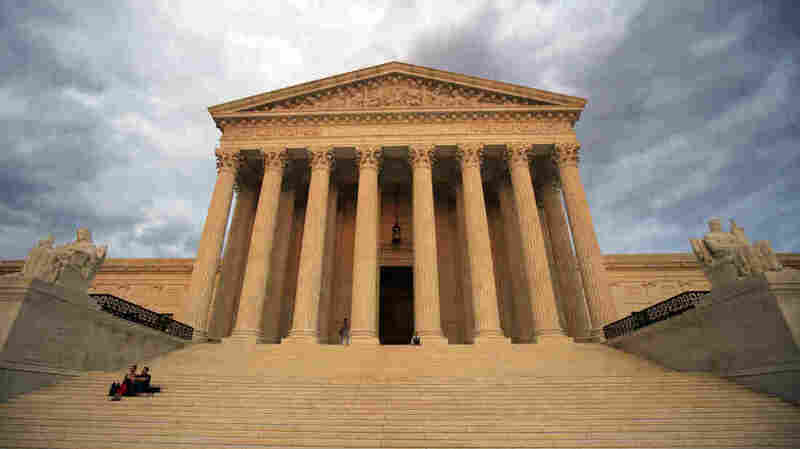 Supreme Court Blocks Texas From Executing Mentally Disabled Man Justices criticized a state appeals court for using outdated medical standards when it determined that a murderer wasn't intellectually disabled and could therefore be executed. 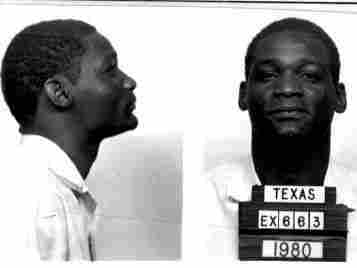 U.S. Supreme Court has ended a long legal fight by ruling that a Texas death row inmate is intellectually disabled and thus may not be executed. Finding that a Texas court hadn't followed its instructions, the U.S. Supreme Court has declared that a Texas man who killed a store clerk during a botched robbery attempt "is a person with intellectual disability" and therefore cannot be put to death. This is the second time the Supreme Court has weighed in on the case, which stems from a 1980 robbery in which Bobby J. Moore shot and killed a store clerk. The issue before the court has been whether Moore lacked the intellectual capacity to be put to death for his crime. The Supreme Court had ruled in 2002 that executing the mentally disabled violated the Constitution's ban on cruel and unusual punishment. But in that decision, the justices left the states some wiggle room on how to decide who was "mentally retarded," the phrase the court used at the time. However, as NPR legal correspondent Nina Totenberg has reported, the court by 2014 "put its thumb more firmly on the scale," telling states that they couldn't use a rigid IQ number to determine "retardation" and that their standards "must be informed by the medical community's diagnostic framework." So after the Texas Court of Criminal Appeals used outdated medical standards when it decided in 2015 that Moore was not intellectually disabled, the Supreme Court reversed the decision. State discretion was not "boundless," Justice Ruth Bader Ginsburg wrote in 2017 for the 5-3 majority, saying Texas "clings to superseded standards when an individual's life is at stake." The Supreme Court sent the case back to Texas. The Texas court, promising to use more modern standards, nonetheless reached the same conclusion. On Tuesday, the high court once again reversed the state court — and this time, decided on its own that Moore was intellectually disabled. "We have found in its opinion too many instances in which, with small variations, it repeats the analysis we previously found wanting, and these same parts are critical to its ultimate conclusion," the majority said of the lower court. To determine whether someone is intellectually disabled, the Texas court had leaned heavily on whether an individual's conduct shows leadership qualities, and whether they can "hide facts or lie effectively," The Associated Press reported. But the Supreme Court said those factors aren't grounded in prevailing medical practice. In Tuesday's ruling, Chief Justice John Roberts joined the liberal majority. "The court repeated the same errors that this Court previously condemned," he wrote in a concurring opinion. "That did not pass muster under this Court's analysis last time. It still doesn't." Justices Samuel Alito, Clarence Thomas and Neil Gorsuch dissented, arguing the majority went too far. Correcting a lower court's factual findings and reversing the judgment "is not our role," they wrote. "The Court's foray into factfinding is an unsound departure from our usual practice." Justice Brett Kavanaugh, whose name did not appear in the signed dissent, presumably joined the majority, The New York Times said.